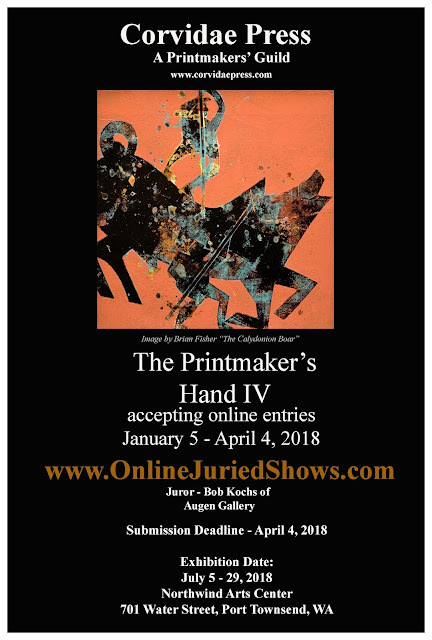 I am delighted that Corvidae Press has featured my Monotype Print "The Calydonian Boar" as their image on the call for submissions to Printmaker's Hand IV, their 2018 Exhibition! It is always a geat show at the Northwind Art Center in Port Townsend. Last year The Printmakers Hand exhibit coincided with Port Townsend's open studio. That made it all the more fun to visit! Corvidae Press was on the tour and their studio at For Warden was the highlight for me of the tour. 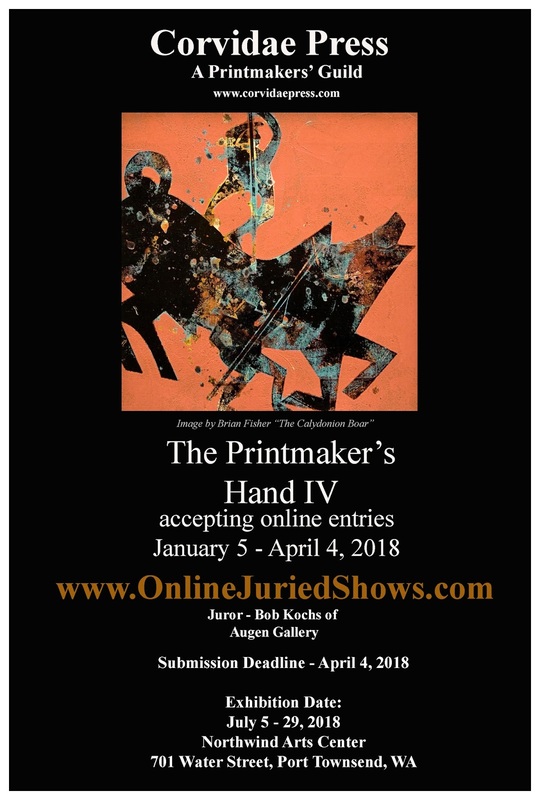 OK~ Quartermaster Press Printers, you only have a few more days to submit!